Want a poem written for you? We’re taking requests. Meet some hot emerging poets and give them a prompt. They’ll write a poem for you on the spot. Featuring Hossannah Asuncion (Fragments of Loss), Evan Chen, Cynthia Arrieu-King (Manifest), Sally Wen Mao (Mad Honey Symposium), and Cathy Linh Che, the winner of the 2012 Kundiman Poetry Prize. Hossannah Asuncion grew up near the 710 freeway in Los Angeles and currently lives near an A/C stop in Brooklyn. Her work has been published by The Poetry Society of America,Tuesday; An Art Project, The Collagist, Anti- and other fine places. Evan Robert Chen is a doctoral student in creative writing at SUNY Albany, where he has taught courses in poetry and film. You can listen to his poems and drones at marrymepoems.tumblr.com. Cynthia Arrieu-King works as an associate professor of creative writing at the Richard Stockton College of New Jersey. She is the author of two collections of poetry, People are Tiny in Paintings of China (Octopus Books, 2010) and Manifest (Switchback Books, 2013). Sally Wen Mao is the author of a forthcoming book of poems, Mad Honey Symposium (Alice James Books, 2014), the winner of the 2012 Kinereth Gensler Award. Her work has been anthologized in The Best American Poetry 2013 and is published or forthcoming in Guernica, Gulf Coast, and Indiana Review. 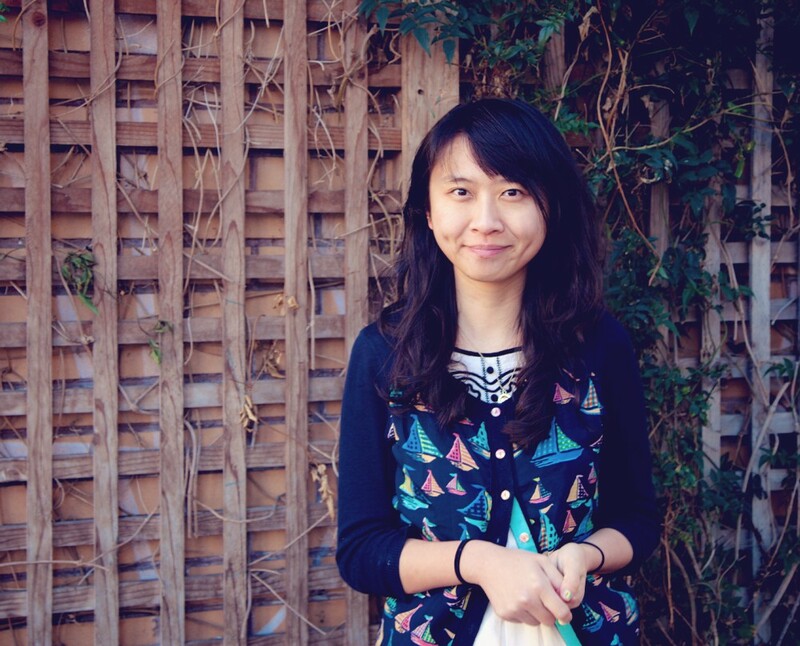 Cathy Linh Che is the author of Split (Alice James, 2014), the winner of the 2012 Kundiman Poetry Prize. She has also received fellowships from Poets & Writers, Poets House, and LMCC's Workspace Residency. This special marathon reading presents some of the best emerging Asian American poets. Michelle Chan Brown’s Double Agent was the winner of the 2012 Kore First Book Award, judged by Bhanu Kapil. Her work has appeared or is forthcoming in Blackbird, The Missouri Review, and Witness. She lives with DC, where she teaches, writes, and edits Drunken Boat. Cathy Linh Che is the author of Split (Alice James Books, 2014), the winner of the 2012 Kundiman Poetry Prize. She has also received fellowships from Poets & Writers, Poets House, and LMCC's Workspace Residency. Poet, Artist, and Cultural Organizer Vanessa Huang weaves poemsongs with moments of creative aliveness and transformative encounter, color, and texture in call and response with kindred spirits who dream and make worlds where each and all of us are free. She was a finalist for Poets & Writers’ 2010 California Writers Exchange Award. Jee Leong Koh is the author of four books of poems, including Seven Studies for a Self Portrait (Bench Press). His most recent collection, The Pillow Book, will be translated into Japanese and published by Awai Books in 2014. Born in Singapore, he now lives in New York, and blogs at Song of a Reformed Headhunter. Alison Roh Park is a Kundiman fellow, Pushcart nominated poet, and winner of the 2011 Poetry Society of America New York Chapbook Fellowship, 2012 Poets and Writers Magazine Amy Award and 2010 Jerome Foundation Travel and Study Grant. She currently teaches Asian American Studies at Hunter College and writes for www.racefiles.com. Purvi Shah won the inaugural SONY South Asian Excellence Award for Social Service for her work fighting violence against women. Her debut book,Terrain Tracks, garnered the Many Voices Project prize and was nominated for the Asian American Writers’ Workshop Members’ Choice Award. You can find more of her work at http://purvipoets.net, http://www.huffingtonpost.com/purvi-shah/, or @PurviPoets.